I think a lot of people are spending their time this summer trying to get ready for the Common Core. I know that every state has their own implementation plan so everyone is at different levels of comfort and understanding. Here in Indiana, kindergarten implemented the CCSS last year and 1st grade will implement them this year. All of the other grades are supposed to be working on beginning to major concepts as they are still teaching the state standards. I compiled some places you can look to for help with implementing the standards. First and foremost, you should familiarize yourself with the standards. If you are looking for just the standard itself, look it up here. Go straight to the source, rather than another site which may or not be correct. I prefer to look at the standards on the site, rather than opening the pdfs. The site is easy to use and I like to look at the transgression of the standards just by changing grade levels on the side. North Carolina offers some great tools to help you understand what each standard means. I’ve used their resources for unpacking the standards in helping me develop my daily math warm ups. While I use them as a resource, and think they are great, they are someone’s interpretation of the standard. At this point, we don’t know exactly what the assessments for the CCSS will be, so there is some risk that their interpretation won’t exactly match the formal assessments. Only time will tell. The Common Core Reading Lessons and Common Core Math Lessons sites are great sites if you are looking for resources that can be implemented in your classroom. Each site begins with the user selecting their appropriate grade level. Then the user is brought to a page that lists general resources that cover that grade level’s standard, or resources that are broken down by individual standards. As you are beginning to teach the standards, these sites will be so helpful in your lesson planning. I do urge a bit of discretion. These resources are user submitted by their creators. Always verify that the resource you find is teaching the standard to the appropriate level. Click on either of the images above to head to that site. These two new blogs are designed just for the CCSS. They are collaborative blogs with the writers posting articles and resources that they think will help you in your implementation. I have signed up to be a collaborator on these blogs and I can’t wait to see the great resources everyone starts sending out. You can click the buttons above to send you to the sites to check them out. 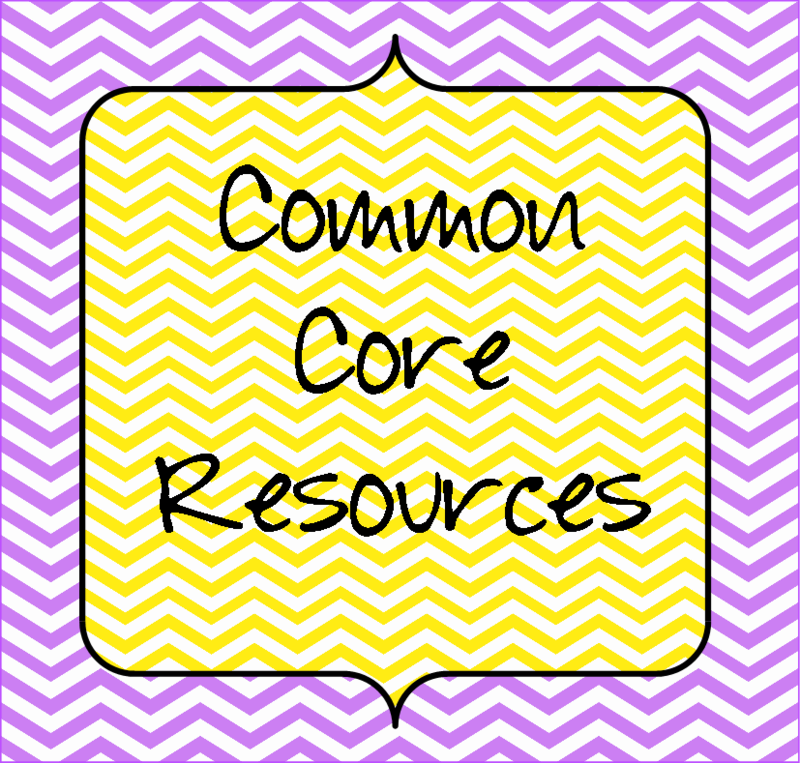 I hope I’ve been able to show you a few new resources to help you with your Common Core implementation. Do you have a resource that you’ve found helpful that I haven’t included? Share it in the comments below for us all to benefit from! Thanks for putting all of this in one place, Tessa! I teach in NC and you are so correct about what is on the NCDPI website….interpretations. I am going to share your blog with me friends! Thanks so much! Yes, they are interpretations, but I still think it's a great resource! Thanks for stopping by! Hey Tessa! I sent you an email a few days ago about the Swap that Jessica is having. We are buddies:) !! Look forward to working with ya!! Hi Tammy! I'm sorry I haven't gotten back to you yet. I haven't forgotten- I promise! What a great collection of resources! I'm one of those many that are trying to get to know the Common Core this summer! I hope it gave you some new places to use, Sally! I am going to need these!!! THANK YOU Tessa! How did the Kindergarten teachers feel their first year went implementing the CCSS? Are they going to change anything this upcoming year? I look forward to using these sites :>) Please check out my Blog if you have not done so already- thank you! Well, I should start out by saying that our kindergarten isn't typical. We have really long, full days, and our kids come in with great background knowledge. With that said, they felt it was a breeze and wasn't a big transition for them. Thank you for putting up this information but grades 6 and up have no links. Will they be available soon? Visit my site and give some tips for my new blog – Thanks! I'm sorry, I don't understand your question. What do you mean grades 6 and up have no links? Are you referring to one of the other sites not having links? (like Common Core Reading Lessons, for example?) If so, I don't run it, but I assume the owner hopes to have it filled up by user submissions. The site is still new. Oh, Common Core… ugh… make it stop! haha My brain is overloaded with it right now. I'm going to check out your resources though- might be just what I need to get re-motivated. I blogged about your Spring Color By Number freebies today. I hope you'll come by and check it out. Thanks! I like how you are GRADUALLY bringing in common core. I hope that we do it that way out here in California! Thanks for the resources! Kindergarten implemented CC full blast last year. It would have been easier to wait until the Common Core people had their act together but I feel much better about diving into this school year. I recently found this resource from UTAH. It lists the units and then gives some examples and resources. Some of the links don't work but I still found some great new ideas. That's a great site! Thanks so much for sharing!